With the holidays right around the corner, there is no better time to start planning your perfect holiday party! Though the typical holiday party is fine, who doesn’t love something a bit unexpected? Amusement Masters’ casino themed holiday parties are a blast and can be absolutely perfect when you want to plan something that is going to blow everyone away. The first, and perhaps most important step to planning your party, is to determine your overall budget. This is going to help you plan the scope of your party, help you decide how much food and favors you can purchase, and will ultimately help you determine what entertainment and games you can rent for your casino themed party. Your budget is entirely up to you and to the people that are planning the party with you. While a healthy budget is best, there are great entertainment options for budgets of all sizes. 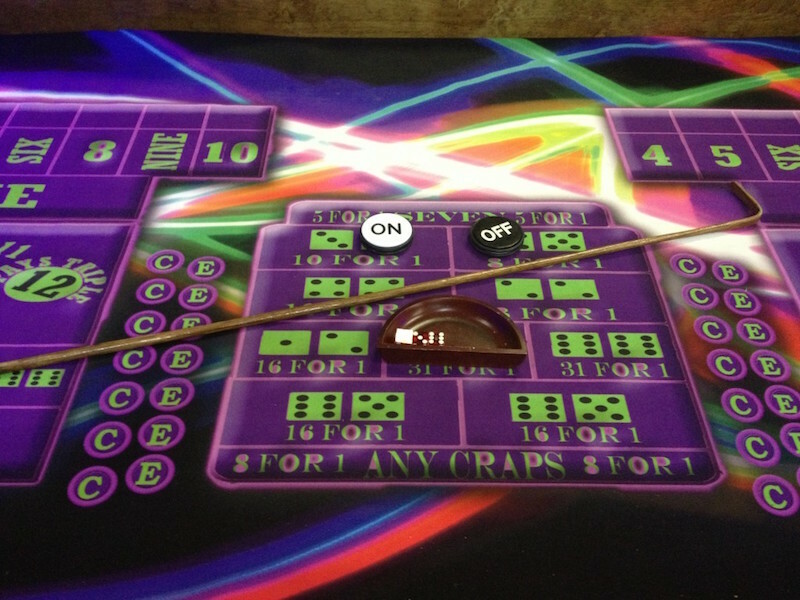 The next step is to decide what games you want at your casino themed bash. 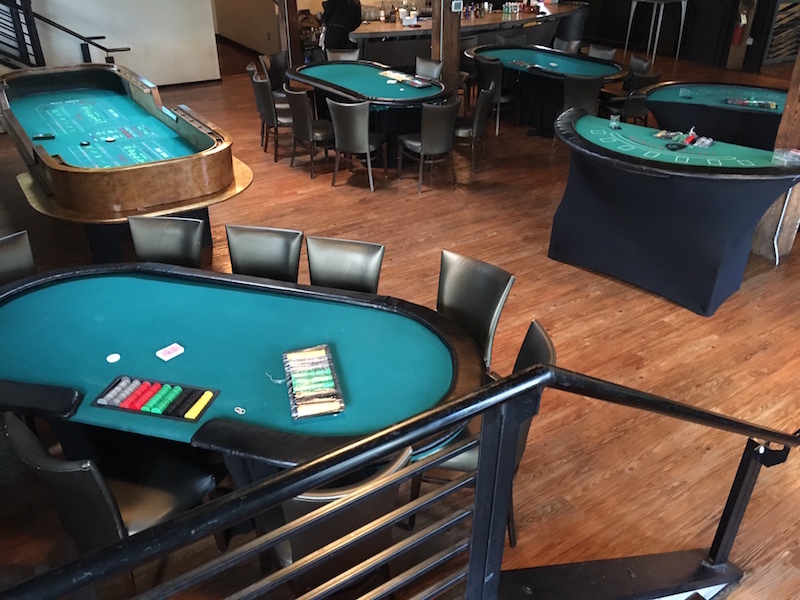 Amusement Masters is a great company for renting casino games like blackjack tables, craps tables, roulette setups, Texas hold ‘em tables, money wheels, Black Light Casino, staffing of experienced dealers and more. 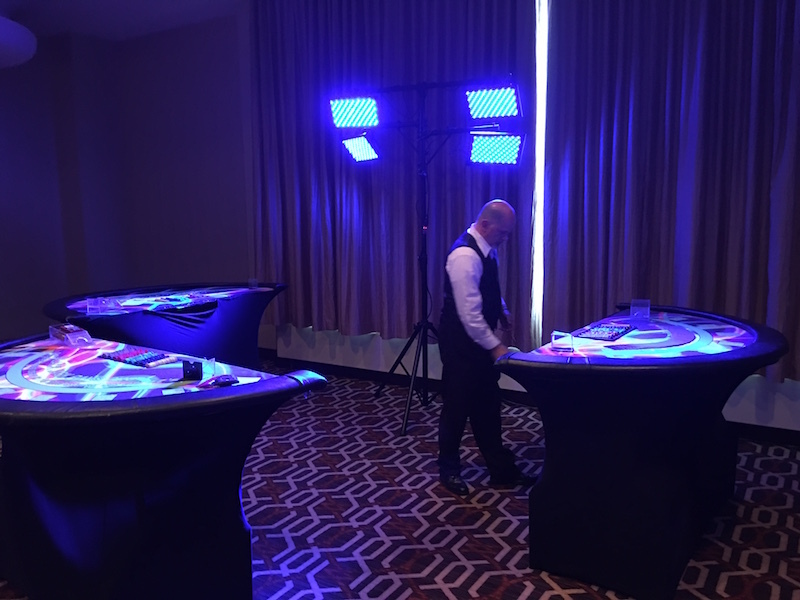 You want to go with a professional company that knows how to set up your games and that can help you decide what is going to fit your budget and what games are going to work best with your party space. Your games are what is going to make your party – expect that entertainment will be a large portion of your budget. When it comes to decorating you may want to go with decorations that reflect your company or organization. Personalized chips, banners, black velvet ropes, red carpets, luxurious chairs and tables, basically anything you would expect to see in a casino is a great touch. You can find wonderful casino decorations through many of the decor and design vendors that Amusement Masters works with. Or, you may even be able to create a few on your own that can help make your party a hit. Setting the right feeling can make up for not being able to go to a real casino for your holiday party! 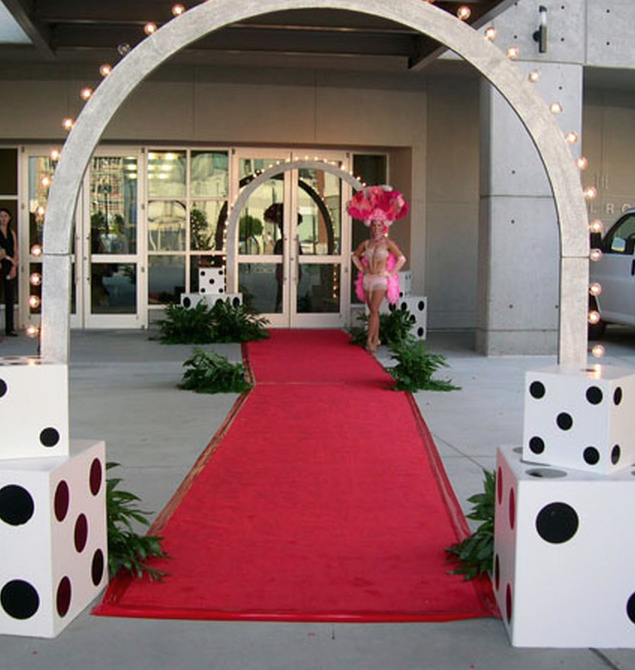 Casino event themed entry decor in this photo provided by CCP Events. The last thing you should consider is of course your food and drink. Since casinos rarely ever serve plated meals, you can often get away with passed appetizers, buffets or snack stations. Offering a bar with a diverse inventory of alcohol and non-alcohol drinks is an important component. For special beverages, feel free to do something a little different like sparkling ciders, fizzy drinks, or champagne (which is always a nice touch). No matter what you decide to do when planning your casino themed party, the real goal is to make sure everyone has a great time. With a few great casino games, wonderful company, and some delicious bites and beverages anyone can pull off the perfect casino themed holiday party!